Latest figures from the Office for National Statistics has revealed that the number of people being diagnosed with both skin and liver cancer has increased sharply across England. Between 2003 and 2012, skin cancer was diagnosed more frequently, with a 78% increase in men and a 48% rise in women. Liver cancer is also on the up with a 70% incline in men and a 60% increase in women. Alcohol, obesity and hepatitis B and C are said to be the main causes of liver cancer, whilst skin cancer can usually be attributed to overexposure to the sun. 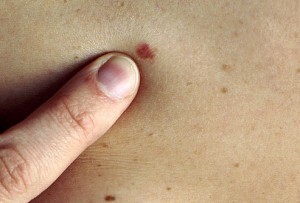 4% of new cancer cases are now skin cancer, as it is the fifth most common form of the disease. The number of newly diagnosed cases increased from 3,109 in men and 3,886 in women during 2003, to 5,535 in men and 5,746 in women for 2012. Liver cancer on the other hand is now the 18th most common variation of cancer, contributing to 1% of all new cases. The number of new cases increased from 1,440 in men and 889 in women in 2003 to 2,449 for men and 1,418 for women in 2012. Matt Wickenden, at Cancer Research UK, told BBC News that more than 40% of cancers could be prevented through lifestyle changes and that smoking caused “nearly a fifth of all cancers”. Andrew Langford, chief executive at the British Liver Trust, agreed that the numbers were “unfortunately, unsurprising”.